Clare Duck has been selected by the International Forestry Students’ Association (IFSA) to attend the United Nations Climate Change Conference in Bonn, Germany this year. Now in her final semester of the Master of Forest Ecosystem Science, Ms Duck will be attending the November conference as one of four youth delegates selected by IFSA from around the world. She will also be facilitating a workshop at the Conference of Youth (COY), which provides a space for young people to network, exchange and develop ideas relating to climate justice, climate policy and sustainability. The COY is a pre-cursor to the main UN conference. Ms Duck says the conferences are an opportunity to learn about the international processes and negotiations between governments on climate action, and to better understand their implications on climate change. 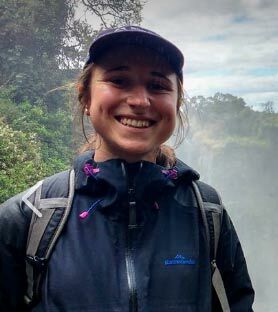 “I hope to combine the information and skills I learn at the conference with the knowledge I’ve gained throughout my studies that relates to the political, social and biological aspects of forest ecology in order to contribute to finding ways of improving global forest and environmental health,” she says. Ms Duck will write about her experience at the conference on her return. The conferences occur annually and serve to assess international progress in dealing with climate change. IFSA’s presence is due to the potential that forestry has to reduce the impacts of climate change.